Subhash Chandra Bose; often referred as Netaji by common masses gave his life while fighting for the independence of India…. Subhash Chandra Bose left his civil service job when a lot of innocent people were killed in a merciless act of British Government in Jalianwalla Bagh. He returned immediately to India after the incident and started his fight against the British for nation’s independence. Subhash Chandra Bose joined Congress party in 1930. He was greatly influenced by Mahatma Gandhi’s teaching. He was imprisoned in 1930 during the civil disobedience movement. He was released a year after and got expelled later from India to Europe. He took advantage of this situation and strengthens relations between two countries. After difference of opinions from Mahatma Gandhi and Congress, Subhash Chandra Bose left the party and chose a more violent approach to fight oft nation’s independence. He believes that Gandhi’s non violent movements alone won’t be able to free thr country for British regime. He was the key figure to form Azad Hind Fauz; an army consisting young India and Japanese soldiers to fight for Indian independence. When Gandhi’s non violent approach didn’t bring any significant output in nation’s independence, Subhash Chandra Bose shift toward a violent path to take the freedom by force. Even though he opposed the ideology of Mahatma Gandhi, Gandhi referred him as the ‘patriot of patriots’. Bose flee to Germany to seek help from Hitler Nazi army for India’s fight for independence. No one has expected such distant planning to seek help from enemy’s enemy. Bose was not a supporter of the Nazi ideology but he was willing to gain every possible support from all sources to gain the independence of nation. After passing the Indian Civil service exams, he met the Governor General. It was customary to carry an umbrella while meeting Governor General at his office and Subhash refused to follow this custom. When The Governor objected his behaviour, he put umbrella around his neck and warned him to mind his behaviour. Biography of Subhash Chandra Bose refers to many acts of courage and dedication for nation’s independence. His death still remains a mystery. 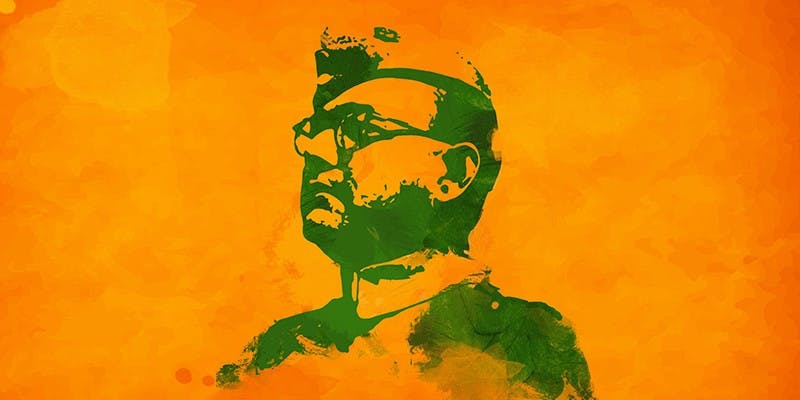 Throughout his life, he remained actively involved in India’s fight for independence and subhash chandra bose becomes a source of inspiration for young India.